Be great if people find some other examples of typos - explicit or ambiguous - and add links or transcriptions here on the discussion forum. Just edited the above to fix the image link - for now, you can get this by using the 'Copy Image URL' button at the top left of the viewer. alexmendes Thanks Alex, just followed that method to attach another link. Discover new genres .... MEEO-DRAME !! 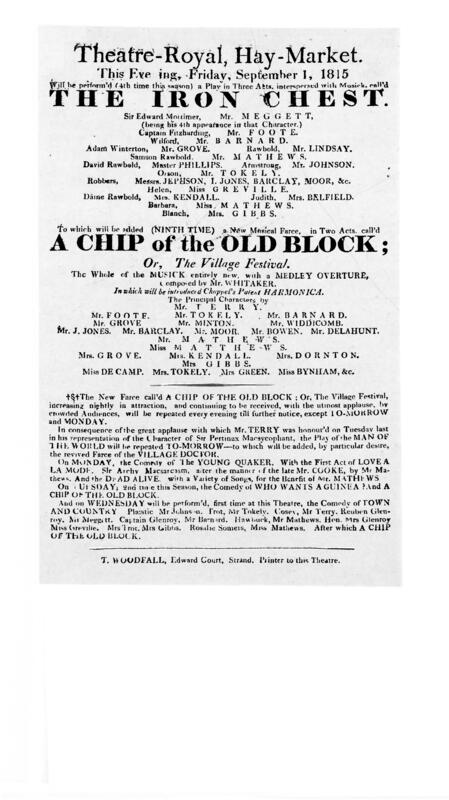 I searched for 'chip block' (without quotes) on http://blplaybills.org and found mutliple playbills with 'Chip of the old block' at Theatre Royal Haymarket between 1809-1815, 1816-1822, 1794-1819. May be the accepted spelling at the time? Thanks - good to know the derivation. For info, here are a couple of links to playbills that show the play. Dover spelled Dovor! A surprising mistake. johnjo This isn't a typo, I've researched my family history in Kent and Dovor/Dover appear to be interchangeable, I've seen both being used on official documents in the area until at least the mid-19th century. Looks like it might have been the accepted spelling. Search for dovor at http://blplaybills.org and there are lots of playbills over a many years with that spelling. @johnjo it's surprising, isn't it! 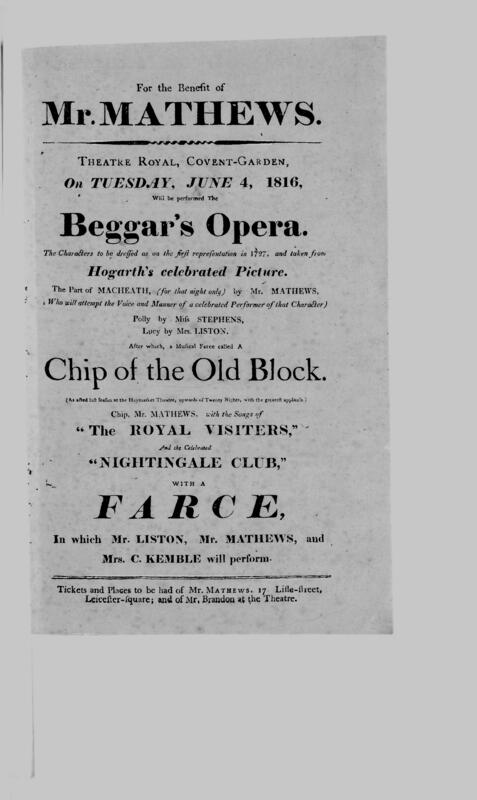 I've also seen variations of Devonport on the playbills. That is really interesting. It stood out as most examples are spelled Dover. I have learned something today!